This will be a bit personal post, but based on my story I would love to show you how learning FEA influence engineering career. What “stages” there are (or at least were in my case), what obstacles you may face and how it all goes down. University vs FEA – round one! I studied civil engineering. As in most technical universities around lectures were incredibly theoretical, especially in those early years. We never really learn FEA, apart from the fact that I was using software to solve static problems… but back then I didn’t even know that those beams in my soft were divided into elements and whatever. I simply treated this as “beam static software”. To this day when I ask people if they use FEA most of them say: “No, I only calculate beam models”. I guess this is how the teaching works here. I had only one project with “actual” FEA. It was a very old version of Cosmos M, and we were calculating simple plates. I had no idea what was going on… or at least mostly. My approach was simple: I just tried to memorize “where to click to pass” and I succeeded in that : ). I finished University as one of the best students, without any idea what FEA is and what it does. I only had a dream to design the most complex and spectacular structures! It never would occured to me that FEA could be useful there (!). University vs FEA – round two! Technically there is a freedom in selecting a thesis topic, but in practice, you are limited to what professors at your Uni are good at. However, I got one of the best advice from my father. He said that instead of a topic I should pick a person. And I did, ending up with prof. Hotała being my supervisors. One of those good and important decisions. In all honesty, I didn’t really care what the topic would be – I ended doing shell structures, which was fine I guess : ) At that time I couldn’t care less, but now I really love the subject. Which is also a nice advice – searching for your passion may be overrated. If you become “good enough” in something you will love it! When I started I’ve learned that laboratory tests were important, but I also need to do FEA for my doctorate to be “ok”. I figured… ok some theory won’t hurt… which is exactly how I was taught to think about FEA as a student! Yea… it turned out that I was left alone with shell buckling in FEA. Back then I didn’t know this is a hard thing to do… I simply assumed that it has to be done! Nobody around could help me, even as few colleagues and today’s friends tried. This was a hard time in my life. I just started my first company so we worked for 12-14h 7 days a week just to stay afloat. And then I went home to work for few more hours on this stupid FEA sh*t that evidently didn’t want to work with me. Actual slide from my presentation… I managed to prove that critical capacity depends on Youngs Modulus… Yea, I was THAT GOOD! It happened that before my Ph.D. “defense” I got a chance to show my research to the Polish Institute of Science. It’s “the” institute and a rare privilege. I went there, and to around 70 best professors I described my research an all. Most of it was useless and wrongly analyzed, but thankfully I had no idea about that so it didn’t damage my natural confidence. I received a really nice ovation and a LOT of congratulations after this. Now, it only makes me sad, but then I was so happy! Only one Professor (even after all those years I still thank him when we met) came to me after the “show” gave me his card and said: “It’s a nice work you did. I suppose you will have a lot of your mind with the defense in a few months. Drop me an email after you’re done I will send you some interesting thing to read”. I’ve thanked him, and luckily I remembered. You know, sometimes those small things can really change your life! At my company, I do static design whenever I can. I had the talent for it, and nobody else felt like doing that. After a few years, I start to really enjoy it. I still don’t know that the “beam static” I do is the same FEA that I work with on my Ph.D.
I’ve mentioned that I remembered to reach out to that nice professor. He sends me a Ph.D. thesis he co-tutored with prof. Rotter. (Yup… the prof. Rotter). I read it and not understand a thing even as it is shell buckling. So… I read it again. I try to contact the girl who did that Ph.D. but with no luck. Without much of a choice, I read the thesis again. I try to recreate their solutions. I try some more… It’s the long nights all over again, but this time I feel that “I’m getting somewhere”. Finally, it clicks. I understand the difference between nonlinear geometry an nonlinear material. Finally, I know that doing “full nonlinear design” according to Eurocode is actually doable – that I can do it! At this time the story leaves University and tries to focus more on my company. I still work at Uni, and I even do science from time to time, but most of that will have little impact on things. Maybe apart from the fact that I’m on 10 years “course” on teaching and engaging listeners, and they even pay me to take it! But I didn’t know that then. I never assumed I will do corporate training at the time, but I liked learning back then already! Sometime around this time, I meet Sławek, who is a dear friend of mine now. He needs some help with FEA design, so I gladly hop in and we do some cool stuff together. I already understand the basics of FEA, and I feel confident enough to pull some tricks from my sleeve. You know, back then pulling shell model of a node in a beam model seems almost like “engineering black magic”! This is one of the first “a bit more advanced” models I did. But it came faster from there on. I was young and courageous, I feel that I’m onto something special with this FEA thing. I embarked on a journey, and I was not willing to stop. 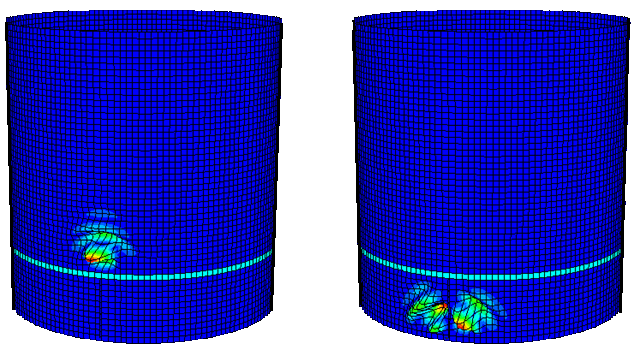 First big silos designed in FEA came a few months later than another and another. Designs got more and more demanding, and I was hooked. Back then I was thinking that I learn FEA mostly for “science” at Uni, but I was just learning for the sake of it I guess… I’ve read hundreds if not thousands of pages of scientific papers on shell stability and FEA. I tried to solve different problems to get the same outcomes as the Authors, I did my own projects needed at the office. I was getting up to speed, and I knew it. Few years past and several things happened at once. We got a big scientific grant about silos from corrugated sheets. I was working with “normal” silos back then, so it was something new. I’ve learned a lot back then, both with FEA but mostly by doing research and simply thinking. Few missing things “clicked” in my head, and I’m pretty confident I got to a pretty decent place then. The second important thing was that I started to feel bad in my own company. I knew we could do more, but somehow we didn’t get the right Customers. There were some other personal issues at play then as well, and all in all, I didn’t feel all that well in a company I started! Back then I found the Scott Dinsmore TEDx talk on my skiing holidays. Another of those small things that changed my life. 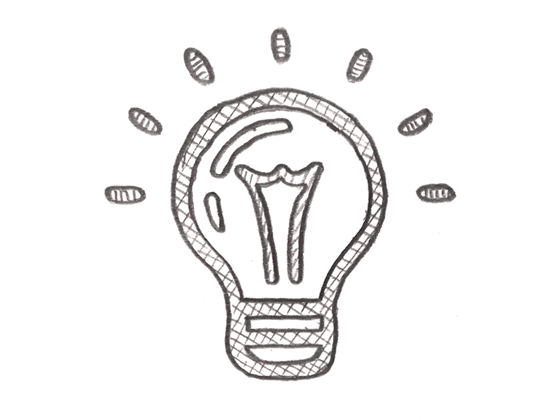 I realized that I love FEA and that I don’t do that enough at the office… so I started a blog. For the first few months, nobody read it (for real, even my wife only skimmed it :P) but I was happy, and again… learning something new. In that time I’ve read several awesome books about personal development, psychology, and building relations, I was starting to change. This meant some really great FEA projects, of course, but also something more. I’ve learned to build relations with Customers and I’m friends with many of them now. Blogging started to be a bit more time demanding, and I figured I needed to start getting money from it or quit it. So I decided to make an online course. After all, I was in FEA for almost 10 years back then, and I knew I could easily teach others thanks to this awesome teaching experience at Uni. Almost at the same time, a friend approached me, and as if I was willing to do training for a company with her… Of course, I was. I had my very own company and I could do whatever I wanted! And this is how it all started with teaching. Blogging becomes a bit more intensive. I started posting on LinkedIn and offered a free intro course. Single subscribers become tens, tens became hundreds, hundreds changed into thousands. And here I am, sitting on a train and thinking about myself as a teacher, blogger, and an FEA geek. I’m not special. I admit I was a bright kid, but not a “genius like” dudes you may think about. However, in my short life, I was able to muster a lot of strength to learn everything the hard way. Learning with trial and error (ok mostly error) is never fun. When it is 2 am and it’s your 16th hour of work it’s even less funny. But I was always supported by my family who greatly helped me to live through that. And now… now you don’t need that strength of character and long night hours to learn it, after all… I’m here. I never had an FEA teacher, and I know how frustrating it can get. Especially if you have learned FEA at Uni and the only thing you can think of are differential equations. You are not alone! In this blog you will find a LOT of useful stuff… stuff I would kill for if someone would explain it to me. It realized how important this is just after I started blogging. Current friend, but just a student back then, asked me if I could stay after a class and tell him something about FEA. In an hour I explained him more or less how material and geometry nonlinearity work and how to set it up, and the only thing he said was: “I learned in an hour more than I have learned for the entire year”. I very well remember that. It’s clear I’ve got a lot of help in my life. Starting from the best Ph.D. tutor and a mentor, friendly professors caring enough to show me how wrong I was, and ending on my father who always checked my work and told me when I was an idiot (oh trust me there were plenty of times…). All those wonderful people made me who I am, and I cannot even write about it without tears feeling my eyes! Now, I can pay off this “debt” by helping you and others like you. Stay around and learn from me. Ask questions, ponder, search. Whatever you try, I strongly believe there is magic in each and every one of us. This spark of genius and curiosity that universities do their best to squash inside us. I will do my best to help you out! I really hope that one day all engineers will be passionate about their work, and will have the deep understanding of what engineering is and how it “works”. If you want to support me in my mission, spread the word – tell others that there is such a place and that they can search for help here 🙂 Of course, you can also help me and learn yourself at the same time, by buying my online course about FEA. But if you don’t want to, or simply can’t that’s completely fine! Just stay around. There is plenty of free content around and I do share what I’ve learned freely. For now, maybe I will manage to interest you in my free course on nonlinear FEA. If I would have that those 10 years ago… this would be a much shorter (and perhaps less interesting) post! Awsome post , you are true expert in shell structures . i would like to you to post more on your exprience of FEA on skeleton / line structures and on linear static . 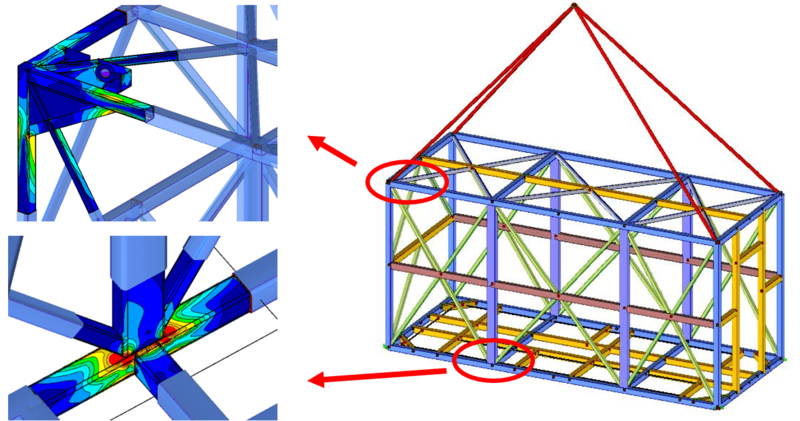 As all commerical civil design software do not perform design checks for may profile types ( like builptup steel shapes for industrial columns , cold form built up shapes) , FEA seems to be a nice approach . Most important we would like to know how you intrepret the stress analysis results / stress contour plots , as most of the bench mark examples provided in Design guides ( like SCI P 398 ) there the checks are performed in terms of capacities in KN , not in terms of stress in MPa. if a perform an analaysis of a steel base plate with anchor bolts like one in EXAMPLE E.1 of SCI- P – 398 titled “Joints in Steel Construction Moment-Resisting Joints to Eurocode 3” . i wish i could attach the example from SCI P 398 here but htere is no option for attachments . There is a good reason why the example is for forces. In bolted connections like that (in tension and shear at the same time) it is far quicker to design bolts and the plate near them using hand calculations and code procedures rather than FEA. You can check the online course lesson about load distribution – there is a part about shear forces in bolts. In general, you would have to use contact to model this “accurately” and in codes, this is at wors 3-4 equations. Those can be automated and they go much quicker I think, so in your place, I would really consider them instead modeling such things in FEA. Also, stress design in members is tricky – there is also stability (buckling etc.) and that can cause member failure on relatively low stresses when elements have high slenderness. This makes the “stress design” very tricky. Code EN 1993-1-1 provide some guidance to “FEA stress design” in form of a “general method” described in chapter 6.3.4… but still usually it is far more effective to design elements against code procedures. Panie Łukaszu, to jeden z najlepszych polskich blogów jakie przeglądam i jestem pełen podziwu ile tekstu Pan tworzy i jak często powstają nowe posty. Trzymam kciuki i liczę na wiecej! Great history of hard work and patience. You arrive at such point in where you have to learn, more than technical things, feed your spirit and your being. This things makes growing yourself. I´m in a similar “moment” in where I´m reading and learning about personal superation as is as more FEA. What are your main books or trainings you taked for your personal growth? Indeed, recently I read more on personal development, business, and marketing stuff.